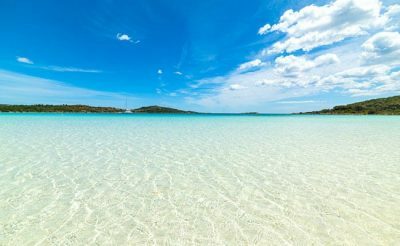 Blog THE BEST SARDINIA BEACHES & Hotels You'll Love in 2019 ! 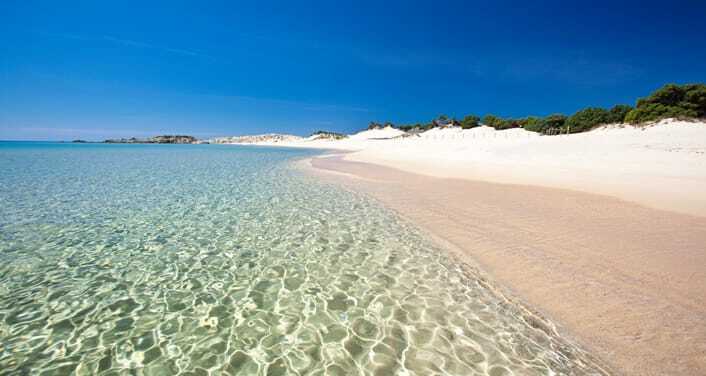 EXPERIENCE THE BEST SARDINIA BEACHES, HOTELS, RESORTS & TOURS AT A BARGAIN PRICE! So I thought.. well, I have a travel blog now and I’ve been so lucky to be born in one of the most beautiful islands in the world. Let me share everything I know about it! WHAT ABOUT DISCOVERING MORE OF ITALY? After reading this one, check out my in-depth article on the best ITALY ROAD TRIP AMAZING ITINERARY! a marvelous itinerary starting in Rome and ending in the stunning Lake Como! Sardinia is the perfect place if you are into spotting celebrities, among the stars that have spent their holidays in Sardinia: Brad Pitt, George Clooney, Francesco Totti and recently, in July 2017 even Roger Federer! 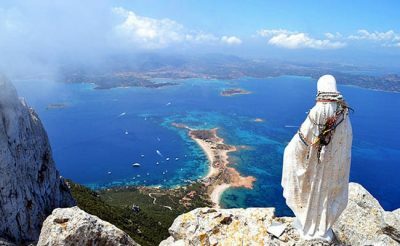 Recently even Seth Kugel, New York Times columnist wrote a touching article of his visit to Sardinia explaining why my island and its people are so special! INDEX: CLICK ON THE CHAPTER AND SKIP THE REST! WATCH MY NEW VIDEO OF THE BEST BEACHES IN THE GOLFO DI OROSEI! Almost 2000 km of coasts with turquoise transparent sandy beaches that have nothing to envy to the Caribbean. In fact, people who’ve been to the Caribbeans and to Sardinia as well, usually prefer the latter in terms of colors of the sea. As a matter of fact, in October 2016 I moved to Mexico and I love it, but for a Sardinian person it is truly difficult to get impressed when it comes to the beaches!We don’t have the coral barrier like in the tropical countries, but there are areas in Sardinia where scuba diving and snorkeling is still very interesting. Sardinian weather is usually very nice, sunny and warm from May until September/October, which gives you plenty of choices to decide the best period for you to book your perfect holiday! There are people from Northern Europe and Russia who come to Sardinia in what we consider to be the “colder months” (from October to February) and still find it very enjoyable! The best season starts from June and ends in September, when the weather is usually still stable and warm every day, after that, it’s a bit of a Russian Roulette! You can find both quiet and relaxing places or very mundane (mostly VIP) ones, beautiful beaches, Cultural/Historical sites, and not to mention a very tasty and filling cuisine! My favorite Sardinian dish is “Spaghetti alla Bottarga” and “Tallarinus”. I will be talking about what you should try in terms of food in my new Sardinia section, so stay tuned, a lot more coming up soon! From the Sultan of Brunei, with a Yacht resembling the size of a transatlantic boat to the young penniless backpacker, Sardinia offers all kind of deals. Very cheap accommodation in lovely villas, and super expensive luxurious resorts with everything you could dream of (and much more, for a super fancy and comfortable Holiday). For more pictures follow my new Sardinia Instagram Account! During peak season, it can get very crowded, especially on the touristic beaches. You can easily avoid it by visiting in June/September. It goes without saying that the more beautiful a place is, the more you have to fight to find your little piece of paradise, and get ready to share it! Public transports in Sardinia can be very frustrating if you don’t know the area well. I’ll give you some useful links on public and private transport at the end of the article. We are trying to improve, but there is still a lot to do, especially the connections between the east and the west. 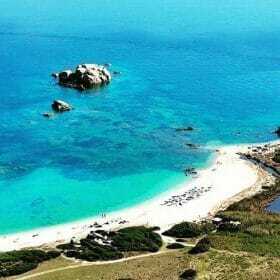 Camping/bungalow: Camping in Sardinia is not for everyone, but it’s a very popular and cheap way to enjoy your holiday in Sardinia! I tried it many times (I was a huge fan of camping when I was a teenager, now my back needs a bit more than a thin mattress , but it was a lot of fun! ). Ideal for students, backpackers, and adventurers of all ages! I will also help you in finding super cheap deals for resorts and villas. OK, if you (like me) need to rest on a comfy bed in a room with – possibly- an en-suite bathroom, finding the right place to stay, without spending a fortune can be time-consuming. Well, since I really want you to come to my beautiful Island, I did the job for you! It took me 3 full days to research the Best Deals for Hotels, B&B, Resorts and villas in Sardinia on the web (from a trusted website I use myself obviously!). I decided what to include based on whether I know the place personally, the reviews it gets online and the location. You just need to click on my suggestions and decide what’s best for you! 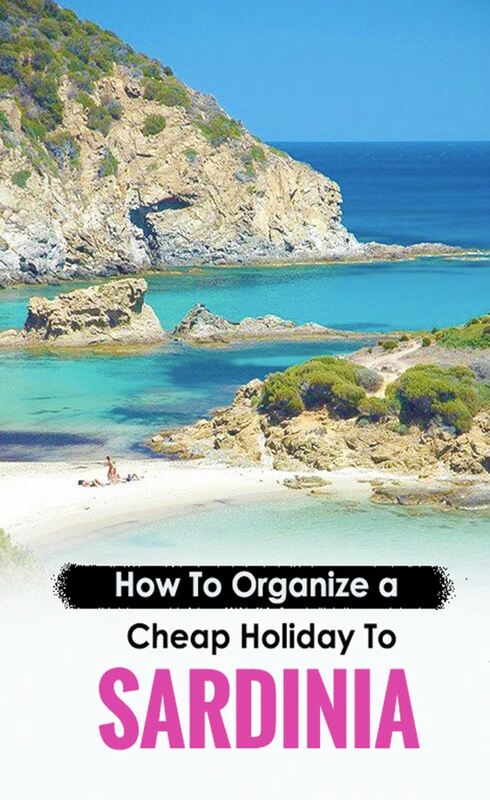 Check out my ready to use article, where I give you the Itinerary for one week in Sardinia. Actually, they are 9 separate ones, full of details for different areas of Sardinia. The most popular post among my readers, don’t miss it! I think it’s also important for you to know what other people think about a specific place/Accommodation/Hotel or activity. I want you to have the clearest idea of what suits you the best. You might be a single traveler, a family with kids, or traveling as a couple: your needs vary and what is good for you might not be good for someone else. During my travels, I always check out TripAdvisor and I make sure to review the places I’ve stayed so that other people can benefit from my experience. I hope this will help you in your decision-making! 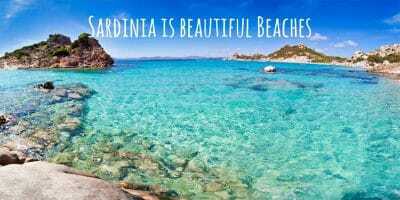 You will find very cheap options for Villas, B&B and Hotels in almost every location in Sardinia (I love this website, it really has it all! 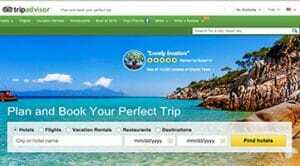 ).You can cancel your booking last minute without losing your money and it’s very reliable. The best place to look for reviews of activities, places, and restaurants in Sardinia online! Tripadvisor is my first choice before deciding where to book. I consider it a MUST and I also contribute with my own reviews of course! So, now that you have all the tools to help you decide the holiday of your dreams in Sardinia …LET’S GET STARTED! This is a tough one, but I try my best! 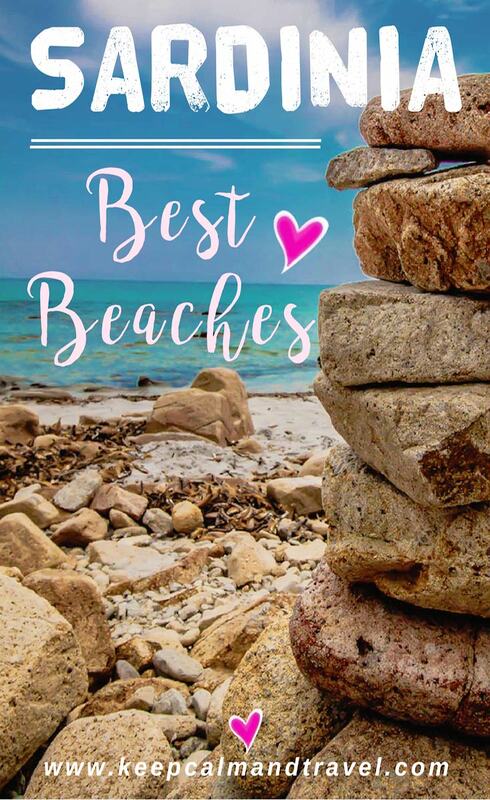 I will start from my “least favorite” (which is nothing less than stunning anyway) to my “top of the top” beach, the one I drool over all the time! In addition to this, I will put my recommendations for Cheap Hotels and Resorts in the area! Lovely beach on the west coast near the city of Oristano and Cabras. It’s not as touristic as the other beaches, and it is quite easy to reach by scooter or car (around 30 minutes from the main city – Oristano, more on this below). As for all the beaches, I’m listing in here, don’t expect it to be deserted during peak season. I love this beach because you park the car and then you have to get down through a path to get to the actual beach, so you will have a super nice panoramic view from above first! A word of advice: All the area around Oristano is well known for having quite strong underwater currents and in many parts of the beach the sea gets deep almost immediately, so be careful if you are not a swimmer or have kids. Nothing to worry about, it’s not super dangerous but you need to pay extra attention. Facilities & Food: The beach is free, which means that you won’t find places to rent a beach umbrella and chairs, you need to get your own. There are a few restaurants near the parking area, so you don’t necessarily need to bring your own mini fridge and food/beverages. 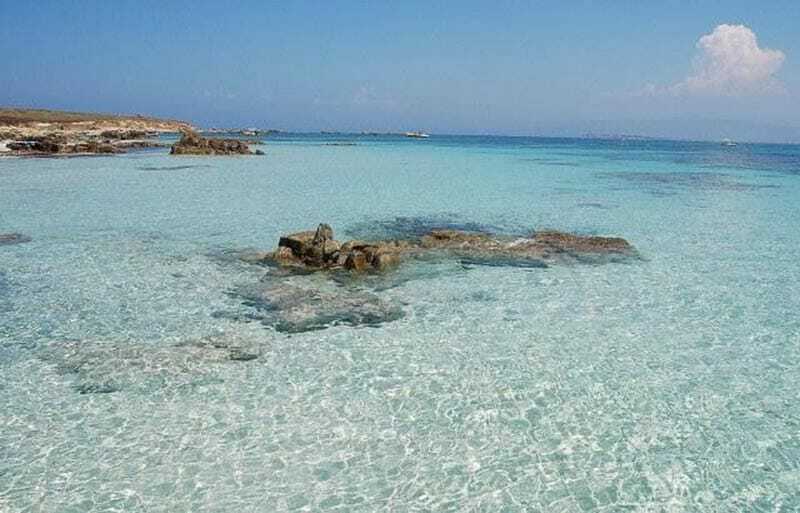 WHERE IS SAN GIOVANNI DI SINIS AND IS ARUTAS BEACH? 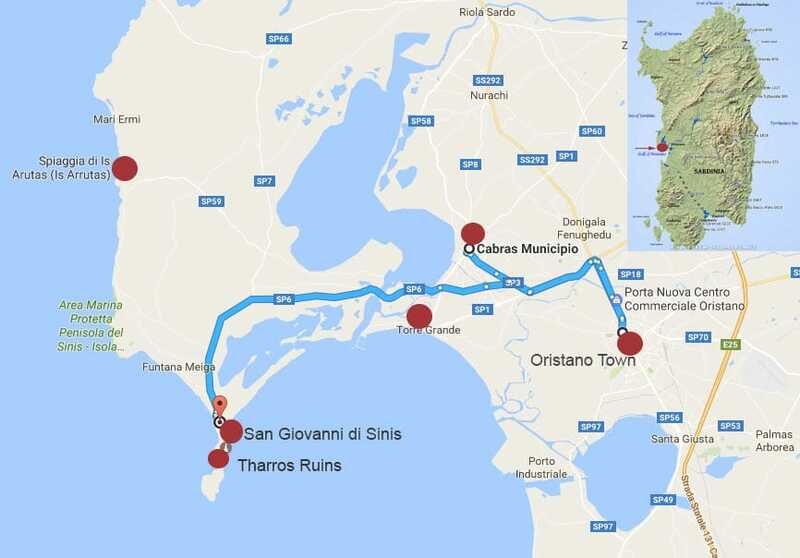 I have marked the main points of interest: Oristano and Cabras on the right, Torregrande is in the middle between Oristano and San Giovanni di Sinis beach (at the end of the route). Up north there is another marvelous beach to discover: Is Arutas! Around 9/12 euros for Camping in June/July/beginning of August. 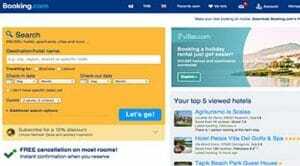 Renting a house in Oristano or Cabras is also a cheap option if you are 3/4 people and book a bit in advance. If you have a Caravan, the Oristano area is full of dedicated places and it’s quite easy to get around! Oristano is one of the less touristic areas in Sardinia, so it’s a bit easier to find cheap hotels and B&B compared to other areas in Sardinia. (Click on the link to see more). So where should you research? Oristano town, Cabras or Torregrande? It depends on what you want. If you prefer the comfort of the city and more to do in the evenings then Oristano is the right option for you. 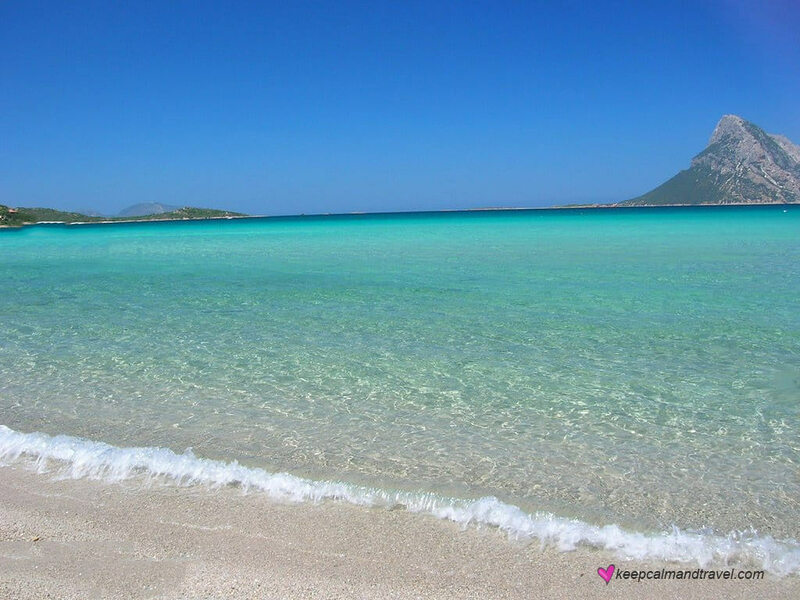 If you don’t mind staying in a quiet village and savor the more traditional Sardinian vibe, then Cabras and Torregrande are a better choice, with the bonus that Torregrande has its own beach and both villages are slightly closer to the beaches. Want to know more? Click on this link, Tripadvisor Reviews for Oristano Hotels, villas, resorts, activities and highlights! Located in Torre Grande, this B&B is perfect to save money and experience the Sardinian life. Free Wifi, terrace and garden. Twenty minutes away from San Giovanni di Sinis beach. Many people ask me about experiencing the real Sardinia. If you book this B&B you definitely can! Typical furniture, AirCon & Wifi, and the owners are very nice and helpful! The real Sardinia deal! For a more modern vibe, this guesthouse is perfect and conveniently located in the heart of Oristano. It has a kitchenette, AirCon, Flat screen TV, balcony and it’s only 7 km away from Torregrande beach! The atmosphere in Santa Teresa is breath-taking, with deep turquoise waters and beautiful underwater formations, which make Santa Teresa di Gallura the perfect location for Scuba Diving and snorkeling lovers! 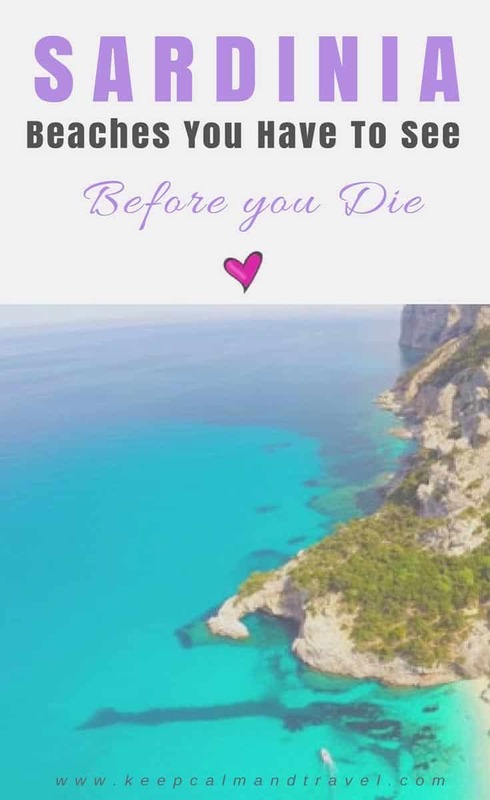 There are so many great beaches to explore so I decided to cheat a little and add 3 top ones you shouldn’t miss if you choose to visit Santa Teresa and make it your base for your Sardinia holidays! Camping in the area (not on the beach, which is strictly prohibited in Sardinia!) costs around 10/20 euros per day, depending if it slow or high season. 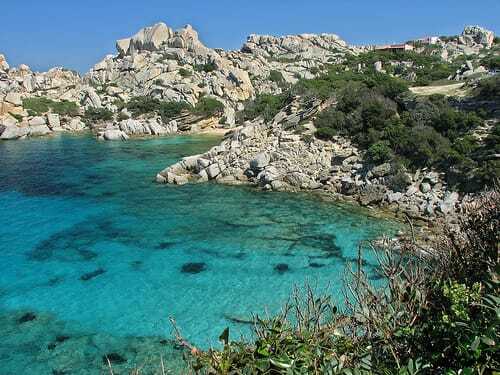 Click on here to see the reviews online for camping in Santa Teresa di Gallura. One very popular camping site in the area is Camping La Liccia check it out! 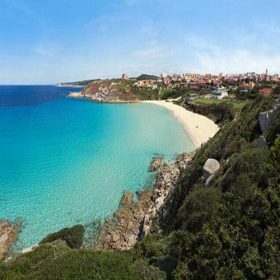 Here is the link to Santa Teresa Di Gallura best hotels deals. Alternatively, if you are traveling with your family or in a group of at least 3/4 people, one of the best options would be to rent a villa. This way you will have all the comfort of staying in your private house and cook your own meals if you want, and save money! I love this option, and I had great experiences all around Sardinia by renting a villa with my friends and sometimes with my family. These apartments in Santa Teresa are a real bargain! At just 800m from Rena Binaca beach, cheap price (especially in low season, but also high season). They usually are sold out very quickly, so hurry up! Good for 4 people. These apartments are awesome! No wonder why they are already almost fully booked for the season. You’ll have a fantastic sea view, balcony, kitchenette and an oven. Close to the beach and Airport.Good for 8 people. Do you want to stay near the beach? These villas are only 300m from the Colonne Romane Beach! They include Kitchenette, dining area, and flat-screen TV. Hurry up as they are almost fully booked! Good for 4 people. If you want spectacularly white sandy beaches, a cheap place to stay and A LOT OF FUN… San Teodoro is the place for you! I went camping there a few times when I was a penniless student and I remember those times as the most fun of my life! Parties on the beach, fantastic music, cocktail bars and a lot of new friends. 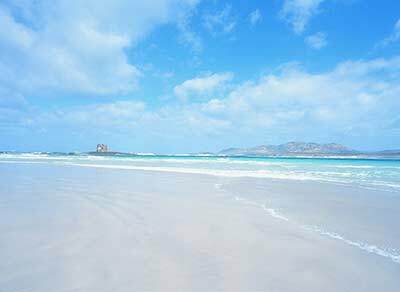 The main beach in San Teodoro is “La Cinta” a long stretch of white sand and turquoise transparent waters. But San Teodoro is not only La Cinta, there are several other marvelous beaches to discover if you have a car, or if you don’t, use the local buses and the boat trip to the marine park of Tavolara. It’s totally worth it! This spectacular beach is also known as “Little Tahiti” for its incredible colors, a must visit if you are staying in San Teodoro. Beware of the parking fees, especially during peak season they will charge you something like 10/15 euros per day. A boat trip to la Tavolara is also mandatory if you are staying in San Teodoro, the place is a protected marine area with daily trips or you can simply take the boat to get to Tavolara and hike to the top for a breathtaking view! 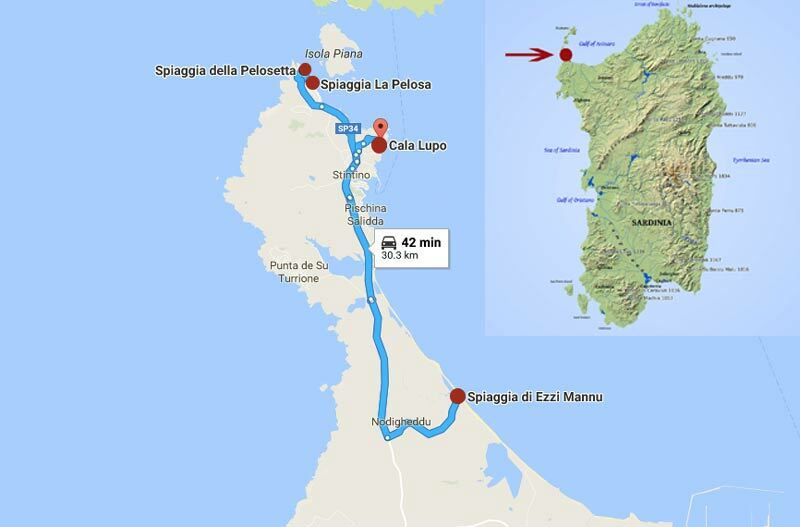 San Teodoro to Tavolara by car+ boat: 20 minutes, departures from La cinta beach and Porto San Paolo. Camping is very cheap for the location (around 20/30 euros per day now), yet full of amenities. We had the possibility to rent the bikes to reach the main beaches. The one on the picture above is La Cinta beach, and one of the biggest camping sites is just in front of it, really convenient for those without a car. I remember spending my days laying down in the sun and playing beach tennis with my new friends….ahhhhhh! Such amazing memories! Again, to make your life easier, here is the link to some pages for the cheapest accommodation in the area: San Teodoro best hotel deals. The city of San Teodoro is a perfect location for everyone, as it has shops, restaurants, cocktail bars and plenty of night life. I always recommend it as a base for people who want some movement and also for the ones who decided not to rent a car. Another great deal! Only 300m from La Cinta Beach, restaurant and pizzeria, terrace and a ridiculously low price for the location. The reviews are very positive, but again…You need to hurry up! Fantastic deal! Just a few minutes away from Cala D’Ambra and La Cinta Beach, this place is awesome and very cheap given the location. The only issue? It’ll be sold out in no time. HURRY UP! The reviews for this place say: “Fabulous”. A fantastic sea view, surrounded by nature, the perfect place to enjoy the San Teodoro area. 7km away from the main beach. Cheap deals for early bookings! There are many other Hotels, Villas and Resorts to check out on Booking.com: so many cheap options that your head will spin! I’ve used this website many times and I always found great deals. Highly recommended. My only advice here is to book as soon as possible! The best Villas/ Hotels will be sold out if you wait too long. January, February, and March are the best months to book. If you start your research later you might find out that many places are already fully booked up until September-October. 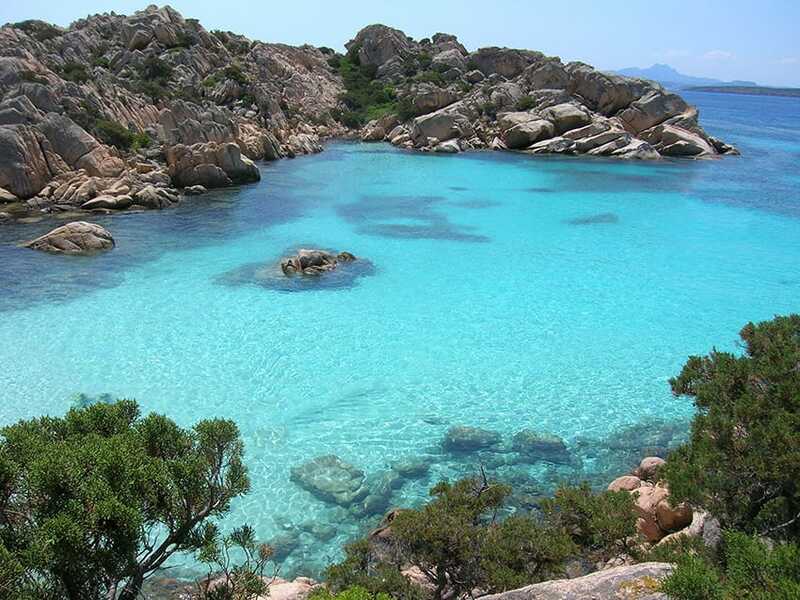 San Teodoro is also quite close to other very interesting locations such as “Golfo di Orosei”, and the famous VIP destination Costa Smeralda. You can reach these areas in less than 2/3 hour by bus or car. Even if the name is not really flattering in Italian -Pelosa literally means: “hairy woman”- 🙂 the place is actually paradise on earth! Close to a small fishing village, the beach is stunning, with fine white sand, enclosed on the north by the seventeenth-century Torre della Pelosa. 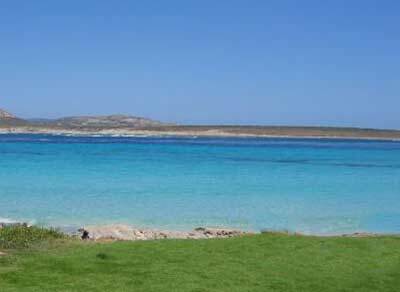 In front of the beach lies the Asinara Island Natural Park where the only human construction is a prison. Yeah, I know, a really terrible place to be incarcerated! You can buy a ticket to get to the island for a 1-day tour. Worth it! Unfortunately, there are no camping sites really close to Stintino. The closest one is at around 45 minutes by car and it’s quite cheap (15/20 euros per night). 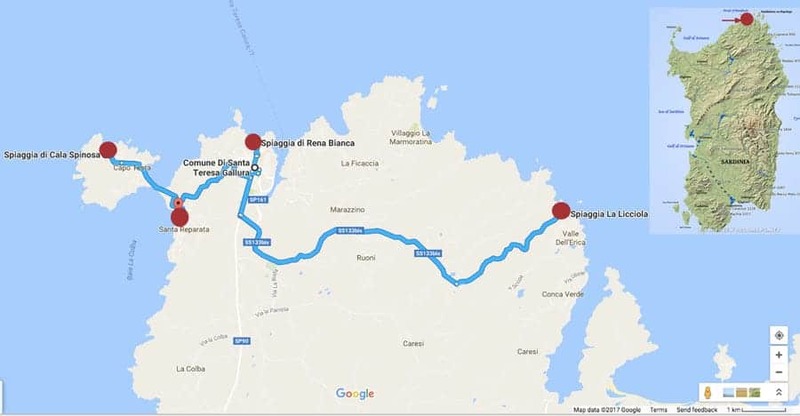 There is a bus service running from Porto Torres and Alghero to La Pelosa beach every day, to check the departure time you can go the bus company’s website ARST (see links below at the end of the article ). 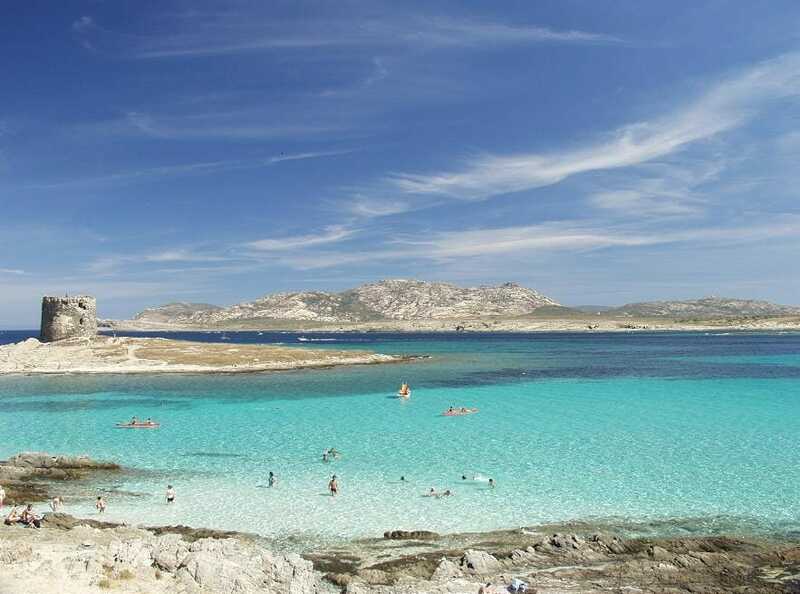 If you decide to book a hotel in Stintino, below are the other great beaches you can visit other than the super famous La Pelosa. They are very easy to reach by car (see the detailed map with the distances below). Here are the reviews on Stintino and surrounding areas collected from Tripadvisor. Incredible Hotel, and also incredibly cheap! 3km away from La Pelosa Beach (transfers included), swimming pool with sea view. Tennis court and children playground. Perfect for a relaxing family vacation! One of the most famous Hotels in the Stintino area, with a luxury vibe but very affordable prices. A great restaurant with typical Sardinian dishes, amazing swimming pool, and near to the town center! You couldn’t ask for more! An incredibly nice 4 star Hotel, with big swimming pool, free transport to La Pelosa Beach, restaurant with typical Sardinian dishes, night entertainment and an incredible sea view and private patio! The name of this beach is much better than our hairy woman above! “Mari Pintau” is a Sardinian expression that means “Painted sea” (not difficult to guess why!). 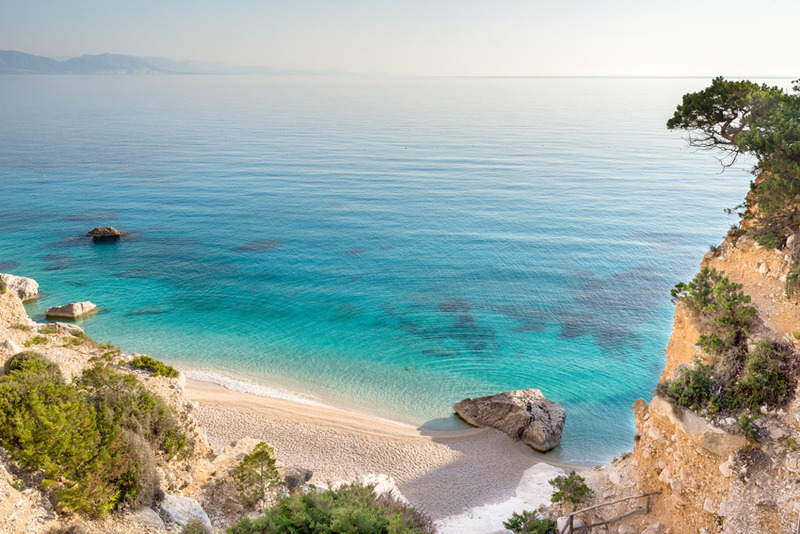 This beach is located in one of my favorite parts of the Sardinian coast… The main road is on the edge of a cliff degrading directly to the turquoise sea, creating a beautiful scenery for many kilometers, up until Villasimius town (a very touristic and famous area). Camping in the surrounding areas is quite cheap (around 10/13 euros depending on the season). There is also a bus service on the main road from Cagliari to Villasimius that stops at every small beach (cheap and panoramic trip, but a bit slow). As usual, here is the link to the Tripadvisor Page for the reviews on activities and places to stay in Villasimius. Before giving you the names of my favorites I have one warning here: As I already told you, I’m checking the places one by one (it’s taking me forever to guarantee you the best possible choices!) and for Villasimius most of the places are already fully booked, so my main suggestion here is HURRY UP! Only one piece of advice for this incredible place: If you want to visit Villasimius for a reasonably cheap price, this is it! Hurry Up as the availability is limited. Check out the pictures…Amazing! The top choice among my readers! If I could only use one word to describe this Hotel would be: “WOW”. OK, I have a sweet spot for jacuzzi pools, and this property has one with a fantastic sea view, not to mention the rest of the amenities. Awesome! A bit more expensive than the average, but well worth it! Walking distance from Simius beach, private beach, swimming pool, tropical gardens and very close to the bus stop. You can’t miss this paradise! Chia is MY BEACH! It’s just 45 min from my house and I’ve been there a million times, so I can say this is definitely my territory! The beach is huge and very long, golden fine sand and spectacular water with 2 little islands just in front of it. You can reach them by walking in the sea and “climb” the biggest one to see the entire bay from the top. Worth it! But don’t forget to wear sandals to avoid hurting your feet on the rocks! Perfect beach for everything: water sports like windsurf, surf and canoeing are really popular here as well as just relaxing by swimming and sunbathing all day! Warnings: There are no restaurants nearby, just a few bungalow size bars that sell chips and ice creams, so bring some packed lunch with you if you want to stay all day long. Getting to Chia beach: Walking from the main road bus stop will take a bit long (I never did it, but I’d say it would take at least 30 minutes). The best way to enjoy the beach is searching for accommodation nearby and rent a bike. Camping is around 16/25 euros depending on the season. The beach is a bit secluded so it is more expensive compared to the other areas. There is a huge resort nearby the beach: “Chia Laguna Resort“ which is fantastic but obviously a bit more pricey, if you want to splurge a bit…this might be the perfect place for you. I LOVE IT! Every time I pass the resort to go to the beach, I give it a longing look, thinking about those lucky people who can afford to stay in there! I’ve seen it from the inside when I used to work in the kitchen to pay for my studies, and it’s something out of this world! Chia is not a very cheap area, but you can still find reasonable prices if you book in advance and is patient to research for the perfect deal for you. In the link, there is a list of all the Villas/hotels/resorts in the area: Accommodation in Chia (From the cheapest options to the Luxury Resorts). 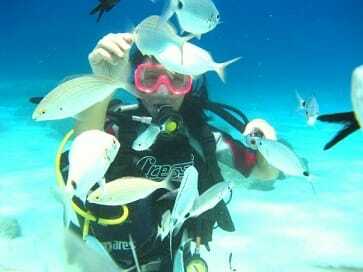 Activities and places to see around Chia reviewed on Tripadvisor. My Recommendation here is: BOOK AS SOON AS POSSIBLE! It was very challenging to find these deals (even in low season), as almost all the cheapest options were already fully booked until September! Lovely “Villette” (well-sized fully furnished apartments), near to the main beach Chia. Perfect for family holidays, they can host up to 4 people. A note: It’s been very challenging to find availability for these! A well-known family-run Hotel, at 500m from the beautiful Su Giudeu Beach. It has a bar and a common Lounge Area to relax, and it’s 15 minutes by car from the main village Pula. Great deal for the price! One of the dreamy Hotels around Chia and sometimes they have 30% discount! I have to admit it, I was literally drooling over this offer! Fantastic setting for an unforgettable Holiday! One of the most beautiful Marine National Parks is located in the north. If you come to Sardinia I strongly recommend taking a few days and visit it, it’s breath-taking!! Day trips by boat to the Arcipelago Della Maddalena are available at a reasonable price (around 30/40 euros), and you can choose what itinerary you want. Some boats let you stay in one or 2 beaches for the entire day, while others allow you to see more islands, but for a limited amount of time. “La Maddalena” is the only island in the archipelago that has a small inhabited village where you can find some sort of accommodation. The place is really nice but a bit expensive. For camping and accommodation, a good base camp is the small village of Arzachena/Cannigione. I’ve been there for a couple of years, and it was amazingly cheap for the location (around 25/30 euros up to date). From there you can choose local buses or minibusses that will take you to the pier for the boat trips. Here are the top day trips with reviews and prices! Incredibly cheap apartments, fantastic reviews, they include all the amenities: washing machine, flat screen TV, kitchenette, WiFi and a balcony. These properties will be sold out in no time! Hurry up! Great value for this Hotel in la Maddalena Island. Perfectly located near to the harbor, each room has a private patio or balcony and it’s very convenient to explore the Island and take the fantastic day trips! This lovely B&B is set only 100m from the sea, exceptional quality for the price and the location, free WiFi, refrigerator and flat-screen TV. The pier is only 10 minutes away by car, where you can catch the boats for Palau. A breath-taking scenery when you arrive, perfect fine white sand, bushes and rocks at the two ends of the beach, and a sea which is so clear, blue and crystalline that the first thing I do every time I go there is throwing my stuff on the beach and go for a swim. I just can’t resist! In June the weather is already very good, prices are down and you can even have the beach to yourself! (Maybe not entirely, but nothing compared to the August crowds!). My suggestion is to go for a cheap camping area around, there are a few for just 20/25 euros per night, and take the local bus to get there (this way you will avoid the ridiculously high price for the parking area too!). Here are the reviews for Tuerredda beach from TripAdvisor. It ranked number one of places to see close to Teulada (See? You can trust me after all!). In the next link, there are the reviews for all the activities in the Teulada and Domus de Maria area. For these apartments, I can say only one thing (I know the area and the prices): BOOK IT NOW! I had to search for availability on different dates as they were full. Now, that’s a real deal! Good for 6 people. What an incredible deal, Ideal for groups and families. A fantastic private villa with swimming pool at this price (per person)! It goes without saying that this won’t stay on the market for long. Good for 6 people. A B&B with great reviews, fantastic location and at a super affordable price in Tuerredda-Domus De Maria! The B&B is also very close to Chia Beach and offers breakfast, a flat-screen TV and a terrace! Cala Goloritze has been declared World Heritage site by UNESCO*** ***IMPORTANT DISCLAIMER: Doing some research on the Official UNESCO website I actually discovered that Cala Goloritze’ is NOT included in the list. My previous affirmation came from numerous websites and blogs that gave this wrong information. Given how much I love my island and considering the popularity of this article, I don’t want to risk giving you any wrong information. So why the confusion? 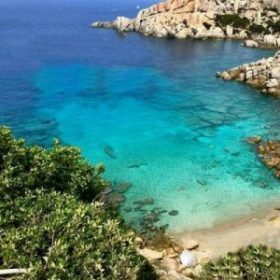 Quite simple: Cala Goloritzè was declared “Natural Monument” of the Region of Sardinia in 1993, and then named “Italian National Monument” in 1995 by the Regione Sardegna. The terminology “Natural Monument and National Monument” must have confused a lot of people, including me at first! 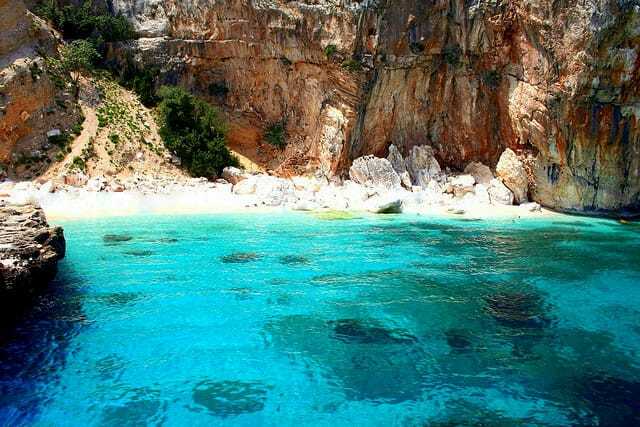 So what is so special about Cala Goloritze? It is a very secluded beach out of reach of ANY possible road. 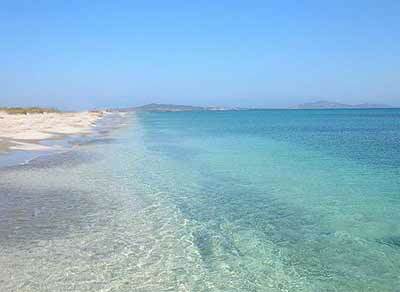 Located on the east coast on the “Golfo di Orosei”, around 2 hrs from Olbia. You can get there through an amazing (but quite tiring!) path that goes through bushes, oaks, and whitish limestone walls. As you descend in altitude between the canyons, you can see the deep blue sea and sky. After 1 or 2 hours walking and sweating, as soon as you see it, you instantly know it was WELL WORTH IT!. If you go there early in the morning, you will literally have the small beach all to yourself. All the areas around the “Golfo di Orosei” are truly AMAZING. I like the contrast between the turquoise of the sea and the high mountains full of green trees and bushes behind the beach. It’s just amazing!! I can’t get enough of that view! As you can imagine, it is not allowed to stay on the beach overnight. You need to collect your remaining energy and get back on the same path for a 3 hours climb back to the main road. Quite something after a day swimming and roasting under the sun! The good part is that you can sleep for one or two nights in a bed and breakfast in one of the small villages around (Baunei being the closest one). If you are into the real Sardinian experience, then Baunei is the place for you! The village is not touristy and populated mostly by the local people all year round. You will see the widowed nonnas wearing the black dresses and “Mucadores” (the black fabric to cover their heads) or something more colorful than black if their husband is still around. Get the time to get to the local bars, it’s an experience for itself. Looking at the old men playing cards and drinking beers, wine and Mirto! The village is also very close to other tourist attractions like the plateau of Golgo, a fascinating place with jaw-dropping views, where you can not lose “Su Sterru” Cost is around 20/25 euros per night, so not bad at all. Transports to the main road are also quite difficult and you need to have a scooter or a car of your own. But again, it is well worth it for a 1 or 2-day tour. As previously mentioned, the closest and most convenient, village near Cala Goloritzè is Baunei, where you can find some cheap Hotels and B&B at reasonable prices. Here is a full list of Hotels and B&B in Baunei. With air conditioning, the apartment comes with a seating area with a sofa and flat-screen TV. It has an equipped kitchen and a washing machine. Cala Goloritze is 20 minutes away by car. Good for 4 people. Antiche Case in Pietra is a lovely traditional Sardinian place, located in Baunei. It offers self-catering accommodation with rustic décor, air conditioning and a great kitchenette! Good for 2 or 4 people. Great reviews for this B&B located in the lovely traditional village of Baunei. It offers a garden, terrace and classic-style accommodation with a balcony. Free WiFi is available in public areas. Great value! This is the most spectacular beach in Sardinia (my modest opinion!). I actually just discovered that it is also ranking #1 on TripAdvisor. First of all, the picture doesn’t make any justice to the beach! This is just a part of it, on the left, there are other 2 beaches separated by big white rocks. You can reach the beach by boat. If you are on a low-budget, you can use the 1-day trip boats and choose one that allows you to stay there the whole day. I think this is the best way to enjoy this spectacular beach, as it can get quite crowded when the boats arrive and let people on the beach for a couple of hours. As for Cala Goloritze, you can’t stay overnight, so the best option is to find accommodation in one of the villages nearby (Baunei and Orosei) and start your day trip from the Arbatax pier. For some options on cheap Hotels and villas near Cala Mariolu, check out the point below. Great reviews for this B&B set in central Orosei and less than 3km from the Sardinian seafront. It offers free Wi-Fi in the entire building, free bike rental, and a garden. An Italian-style breakfast is offered daily. Club Hotel Marina Beach is a wonderful establishment in the heart of the East coast of Sardinia. Enjoy a relaxing stay by the sandy beach, super popular among tourists. Perfect for Families. The swimming pool is a plus! Offering an outdoor pool, B&B Addisora is located in Orosei. Free WiFi access is available. Rooms here provide you with air conditioning and a patio. 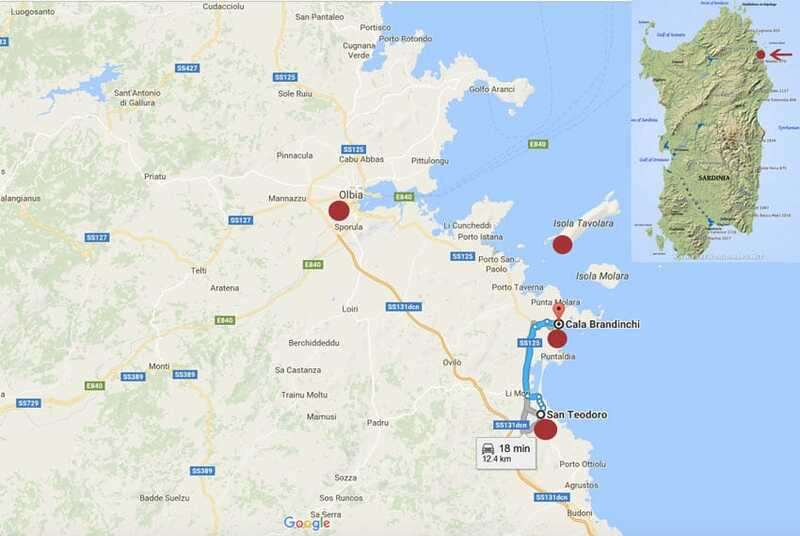 The B&B is a few kilometers away from the Golfo Di Orosei beaches! From mainland Italy, fly to Cagliari/Elmas Airport, from there you can take a direct bus to Cagliari and then take a local bus to your destination. Buses are the most convenient way to reach touristic destinations that are out of the main cities. Private and public bus lines cover almost every single touristic place. The bus is generally quite slow, takes a couple of hours or more per 100 km since it stops at the main villages, but it’s cheap and comfortable. Trains are also available from Cagliari to the main cities of the island. Alternatively, you can take the Passengers boat from Livorno or Rome to Cagliari, as the bus station is just a 5-minute walk from the harbor. From mainland Italy, fly to Olbia airport or Alghero airport and take one of the local buses to your preferred destinations. Alternatively, you can take the Passengers boat to Porto Torres or Olbia, and from there take the direct trains available to all the main cities on the island OR take one of the many private/public buses to your destination. 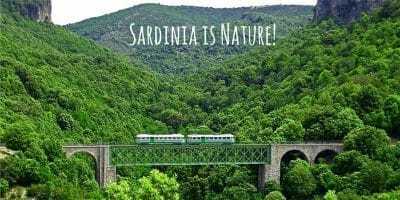 TRAGHETTI LINE: Do you want to book a ferry to and from Sardinia? Or just check the availability and routes? Below is the most useful tool to find all the companies operating on all routes! That’s the only thing I use to book my ferry to Sardinia. ARST: Public service buses to the main touristic destinations. TURMO TRAVEL: Another well-known bus company. 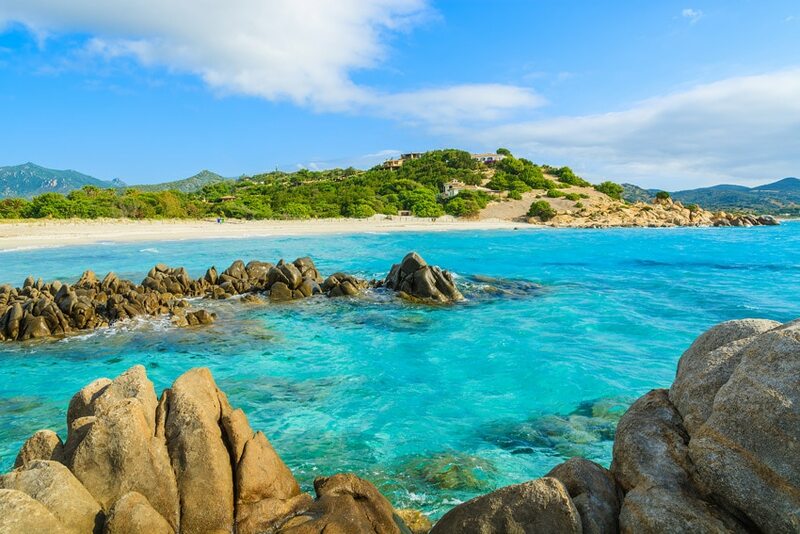 Sardinia is definitely an amazing place to discover, if you want to know more, check out this article on the most amazing beaches in Ibiza. Do you want to read about other amazing destinations? Here is my post (a very honest one) about Sri Lanka! SAVE IT FOR LATER, PIN IT!